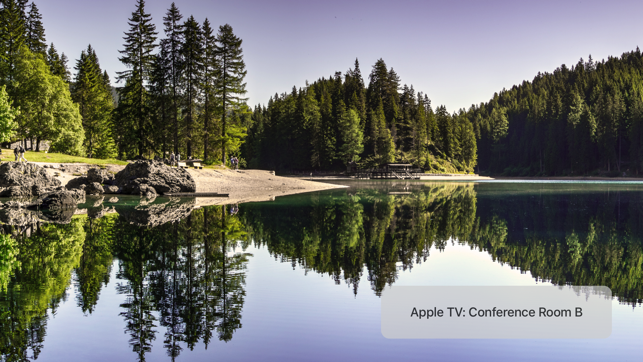 ConfBoard is free form digital signage for the Apple TV. While other apps require expensive or complex services, ConfBoard provides the freedom of simple configuration and delivery of the most common picture formats. To get started simply create an images.txt file containing full urls to pictures (png, jpeg, etc) anywhere on the internet. Put the images.txt file on any web server and add the link to the ConfBoard configuration in the Apple TV Preferences. For more advanced usage ConfBoard supports JSON configuration like that of the NC State Billboard system where the JSON feed has the key named “url” with a value containing a url to a picture. For NC State members only: Learn more about using ConfBoardwith the Billboard system (login required). Note: Since Apple TV does not publicly support HTML, ConfBoard can not display web pages or any content that is HTML encoded.